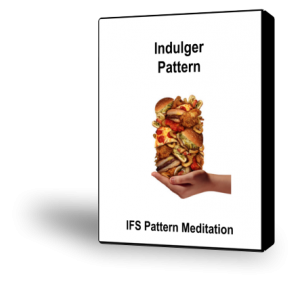 The Indulger Pattern involves overeating and often obsessing about food. Your overeating is driven by unconscious or unresolved emotional issues. Even if you love the taste of certain foods and revel in the sensuality of taste, overeating comes from a deeper psychological place. It is an attempt to soothe yourself, to meet needs for nurturing, or to distract or numb you so you won’t feel painful emotions that are coming to the surface. If you have the Indulger Pattern, you may be overweight and feel shame about the way you look. You may binge at times and obsess about food and weight. You may eat food that isn’t good for you, or perhaps your eating dulls your energy.